Fans of JD Lenzen also known as TIAT on Youtube were pleased to see his new book. Patricia was one of his fans. She said, "I follow him on YouTube and have watched all his videos. He always makes it look so easy." What really caught people's attention was the focus on leather. JB Green explained, "Much easier than paracord, and with a much greater appeal, also." I totally agree! Readers like Jakki also love the unisex styles. She said, "That's something I struggle with the most-trying to get male jewellery styles/designs." 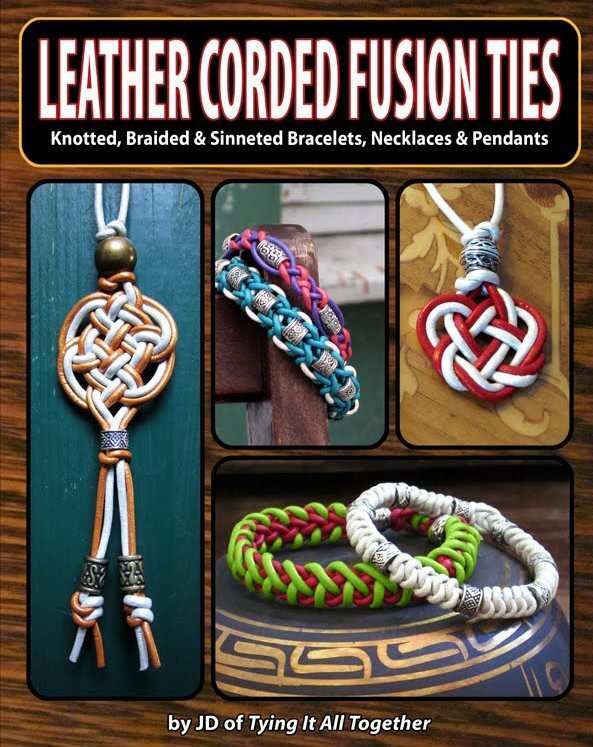 So one lucky winner is going to receive a signed copy of Leather Corded Fusion Ties very soon. I numbered all the eligible entries including those on my Facebook page post. I then used the random number generator on random.org. The winning number was assigned to Jana Skladan! Congratulations! The winner of Robin Fator's Get It Together book giveaway never contacted me. So I redrew. The new winner is Kathy Lowe! Congratulations! I've struggled to find something that I can do to deal with my anxiety and depression and the doctor suggested jewelry making.although I don't have lots of money to buy supplies it helpsychological my peice of mind to keep my hands busy. This contest looks amazing.